OnlineVideo - The site that made brand safety a major concern for the entire online video ad industry has shown how to deal with brand safety issues.Earlier this year, YouTube experienced some well-documented problems with brand safety (remember that ads from major advertisers were appearing next to videos from hate sites). That led to several advertisers either pulling out or threatening to do so, a situation dubbed “the adpocalypse.” According to advertising intelligence company MediaRadar, five percent of advertisers dropped the platform in April. Most of those were Google Preferred customers. Since then, YouTube has given the industry a lesson in how to deal with a bad situation. To address brand safety concerns, it shifted more advertisers to its Google Preferred platform, a walled garden of top-performing (and brand-safe) videos. In January, Google Preferred had 217 brand advertisers. By June, it had 508. That 5 percent drop in advertisers in April turned into a 50 percent increase in May, MediaRadar finds. Google Preferred advertisers rose in May and June. Meanwhile, advertiser trust in the platform grew, with campaigns running on more channels and for more days. By shifting advertisers to the safest area of its platform, YouTube was able to build trust, satisfy concerns, and grow the site overall. “YouTube is highly ethical and incredibly smart,” notes Todd Krizelman, CEO of MediaRadar. “Our belief is that they’re already blunting the attack by responding in a couple ways. 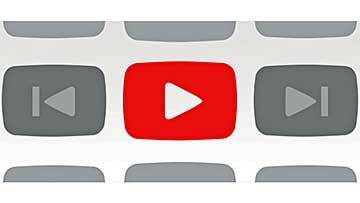 YouTube is actively expanding their premium content channels, called Google Preferred. This is a line-up of hundreds of curated channels where the quality of content is expected to be high. This allows YouTube to position themselves more directly against the clean content of scripted shows on broadcasters. Additionally, Digiday reported, YouTube has hired human screeners to review content directly. This is in addition to their formidable technical advanced to review and screen content automatically. This way there is much less risk of objectionable content sneaking through. ”By addressing the problem head-on, YouTube’s execs have grown their business and appeased advertisers. It’s a smart lesson for any publishers dealing with brand safety concerns.